It was somewhere around 1991 when one of us started drinking wine as a primary choice. Now, not because his Italian friends Dad made him, but because he actually liked it. 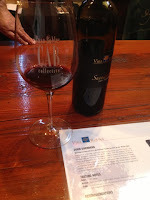 It was in California in a country town called Paso Robles, and it was Cabernet Sauvignon. It was being made by a rookie winemaker at the time who also made a killer margarita. Those were the days. 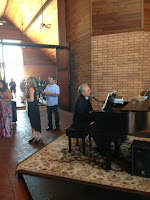 The Cab's of Distinction Grand Tasting event was held at Windfall Farms Stallion Barn (property previously known as Cardiff Stud Ranch and Creston Farm and once owned by Alex Trebek). 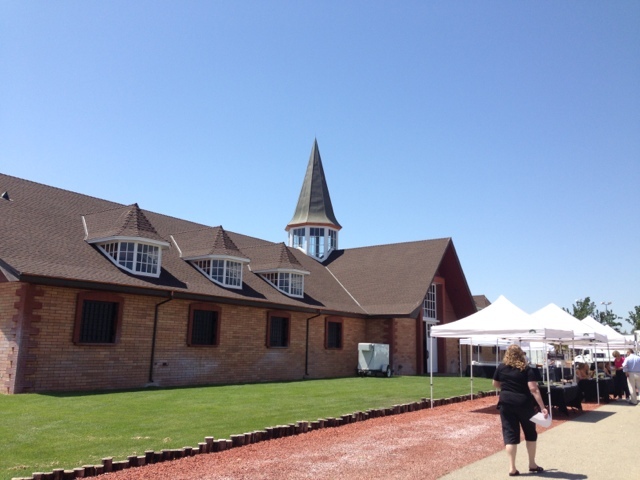 This amazing horse stud ranch stable was a very cool venue for a wine tasting event that celebrated Bordeaux, and specifically Cabernet Sauvignon. The very wine that, for one of us at least, started it all. It was a warm (90deg) sunny day and the attendance was good. 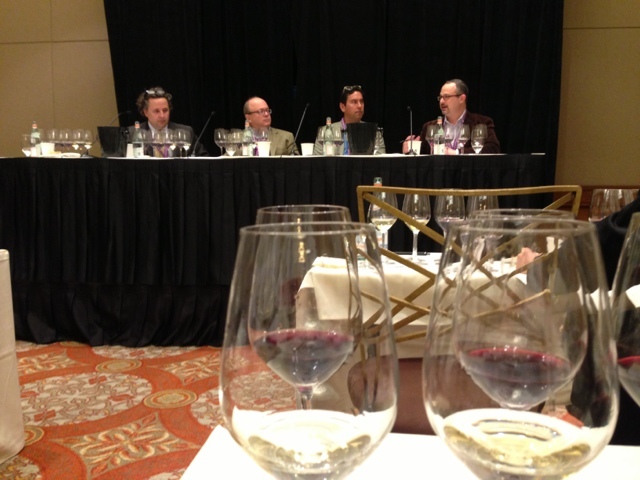 The Bordeaux were being poured and consumed by an enthusiastic crowd. With a large baguette in hand, a nice wine glass and a food plate it was off to the races! Ok cheap pun, but funny! 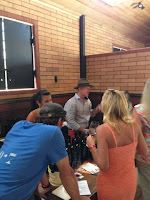 Each winery had its own stall and each was clearly identified and so easy to find. 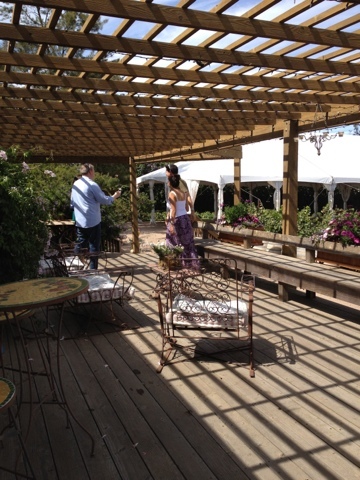 The setting allowed for a fairly intimate feel and yet one that rarely felt crowded. The cross section of wineries was impressive (see participating list below) and the finger foods were delicious and all this in a unique and amazing setting, which even included tunes from a grand piano to add to the ambiance. Very nice touch. While all the wines tasted were good, there were a few that were great, and anyone who tasted them should have no doubt that Paso Robles makes some truly world class Cabernet Sauvignon. 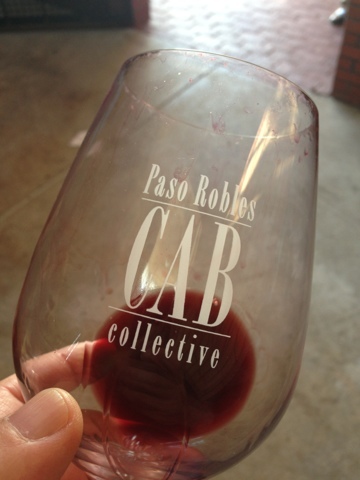 Congratulations to the Paso Robles CAB Collective, this was a well organized and smoothly run event that we look forward to being able to attend again and would 'recommend' you do as well... We would also like to point out and applaud the event, for the Designated Driver ticket that was offered and priced perfectly. Many other high end events should take note of this classy move! With only one night in Verona we had to do some speed touristing and wanted to make sure we got a good taste of the local cuisine. Some of the hotel dining recommendations on our Italy Adventure thus far, whist decent, were to our liking a little too touristy and with the feeling that locals would probably not dine there. Why leave home to sit next to Americans in Italy? 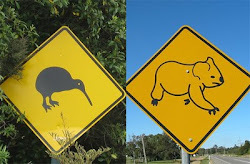 Kiwi and Koala can do that in California! 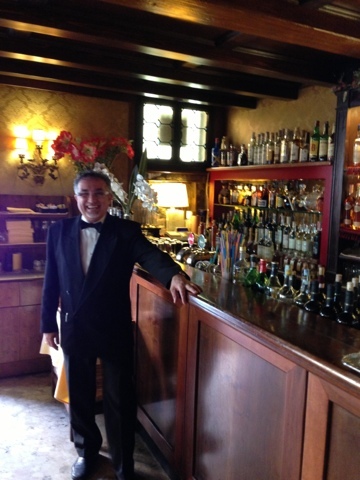 We received a recommendation from the concierge at the Hotel Giulietta e Romeo to dine at the Restaurante Maffei. With a beautiful stroll through alleyways reminiscent of Venice we found the Piazza Delle Erbe. A lively place on a Friday night, all foot traffic with loads of energy. The restaurant is situated at one end of the Piazza through a small courtyard that separates it from the noise and bustle. 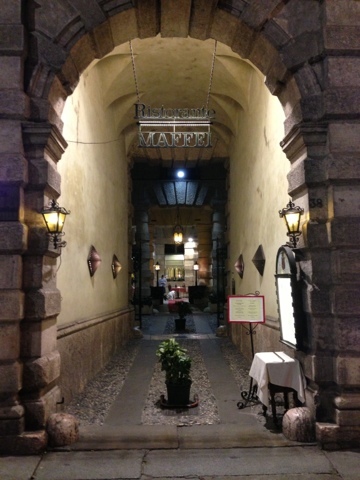 The restaurant is in part of the Palace Built in 1668 by the Maffei family and has a decor that pays tribute the its famous heritage. We did not have a reservation but were still quickly seated in a very nice open room. Service was quick and friendly and a combination of our bad Italian and their great English got us through the evening! 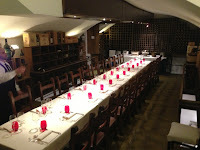 They began with a free tasting of prosecco and small bowl of orecchiette con pesto, also on the house. The wine list was daunting, but Koala managed to find a very nice wine under three Euro digits. No mean feat given the quality wine list! Appetizers were fabulous and Kiwi and Koala both enjoyed lamb chops for secondi piatti. Too full for desert we were once again given treats on the house, and with the girls making yummy noises, a new plate of mini chocolate cakes arrived! Noticing our interest in the wine the maitre'd offered us a tour of the wine cellar and Roman ruins. Yes, Roman ruins! Under the main restaurant was a 6,000 bottle cellar with private banquet dining. Their special collection dated from 1959 and was under lock and key! 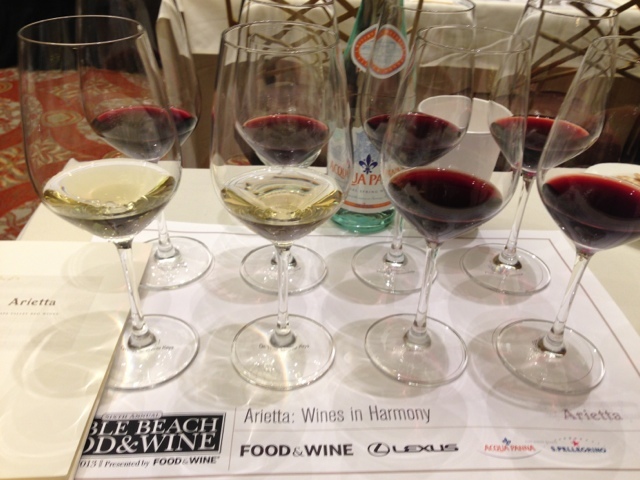 Mostly Italian wines, and why not! Fabulous. Table for two with ruins. Down seven meters under the restaurant were the excavated ruins discovered during construction. Nothing can be dug here without finding an amphora or column! Well lit and with a table set for two this was a great place for a romantic yet historical dinner! Four thumbs up for dinner and service from Kiwi, Koala and spouses. A definite "Recommend" and tell 'em Kiwi and Koala sent you. What is more romantic than meandering through the canals (large and small) of Venice in a Gondola, with an accordion playing music and an Italian bloke singing all those classic Italian love songs you have heard while watching every movie of Venice. As cheesy as it sounds it was wonderful. Booked through isango.com prior to leaving the USA was not just a Gondola ride on the Grand Canal, but also a Gondola ride through the narrow canals off the Grand Canal including being accompanied by music and song. To say some of us were excited was like comparing our state to when you hear the cork pop on a sort after wine and waiting to get a swig. We were early to the meeting point as getting lost is our forte and so this time our focus on the map paid off. 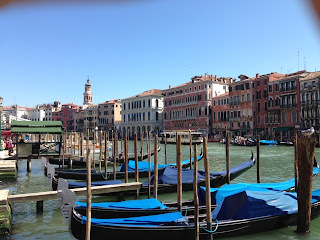 We found a nice restaurant in a hotel on the water front of the Grand Canal to have some lunch and a glass or two but as we started to pa-ruse the menu it became apparent that this was not the place for us with simple mixed green salads starting at twenty three euros. With our tails between our cheap legs we wandered about half a block to anther establishment. This was more to our liking. Still able to see the canal about a sixty meters away but at half the price. The place was the Ristorante Giglio. We enjoyed a great meal (pork chop was amazing) and some nice wine at a very reasonable price for the location. The staff were wonderful and spoke enough English to make order adjustments and menu and wine questions easy to get answered. After our nice lunch we wandered over to our Gondola experience which was booked using Isango and checked in with some time to spare to get the lay of the land. It was then that things went south! Going through all the packets of the backpack and jackets the realization that the voucher for the ride was not to be found sunk in. The instructions received in the confirming e-mail had said to print and present the paper voucher upon arrival. Now what? Light bulb goes on... the I-phone has the conformation e-mail on it. 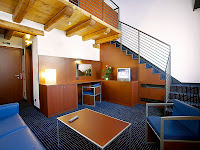 It is good enough for international travel and renting cars and booking and checking into hotels. No worries right? WRONG! No paper no ride! Of course this comment was delivered with all the dismissive arrogant tone and body language the Head Gondolier could muster before turning on his heels and walking away. There the four of us stood like scalded children who are now not getting in to Disneyland. Rules aside, the handling of the situation was not professional at all. Another spurt of brain activity and off to the Ristorante Giglio for help. Did they have internet access and a printer? No, but recommended the hotel just around the corner (quick thinking). 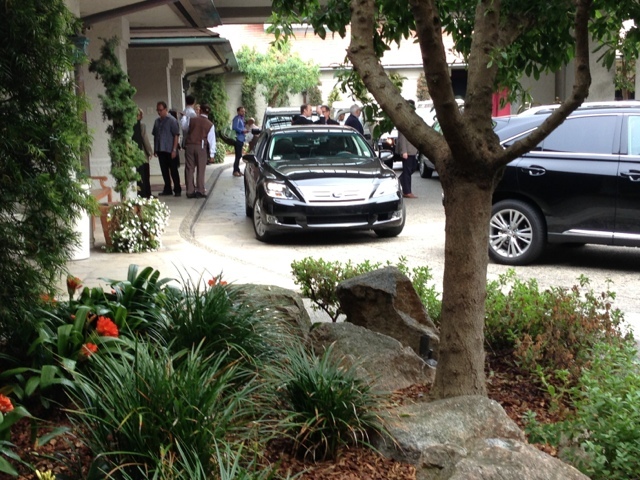 Running in to the Best Western Hotel Ala they could see a little panic in my eyes and were quick to try to help. The first plea for a computer with internet access and a printer was a bit of a no go, but one of the staff thinking clearly suggested that I email the voucher to them and they could then print it for us. Brilliant! It worked and our Adventure was back on. Thank you to the reception staff of the Best Western Hotel Ala for helping out. True class! I did not even need to mention that I am a member. The Gondola ride was on and the four of us were loaded in with the musician and the singer (sweet). A small flotilla of Gondolas were being gently paddled down the Grand Canal to the sounds of the accordion and the crooning of our vocalist. It was, it was as it should be. Every face you looked at was beaming with big smiles and the giddy excitement most of us don't feel often enough. After about fifteen minutes all this happiness was then moved to the small narrow canals and took on a more intimate feel although with no less smiling. The echo of the music and song were transporting to another time but the place was somehow familiar. While somewhat predictable, and as corny and cheesy as you like there was no getting away from the fact that most of the people on this Adventure had not smiled that much and that big in a long time. 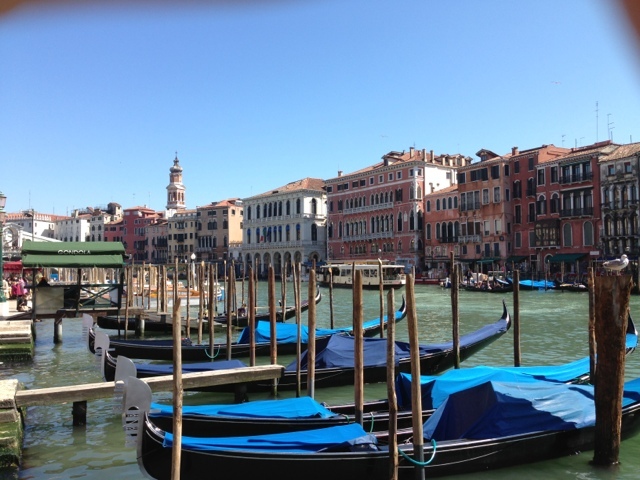 Cruising the Canals of Venice was a truly wonderful experience that everyone should do once! While our overall experience was marred by an arse before the start, the ride, the music, and the singing were everything you could hope for. So a bit of a different endorsement here; if you have traveled far to experience this place called Venice, you "Must do" a Gondola ride with a serenade, but perhaps from a different dock and as the singer and musician were fantastic,hopefully they work for multiple Gondolier locations. We did get a response to our survey which is good as it shows they are at least reading them. You can make up your own mind as to the quality of the response. While talking of Italy, one of the places that always comes up in conversation is Venice. You often hear stories that seem diametrically opposed about this particular place, but it is always high on the the conversation list. 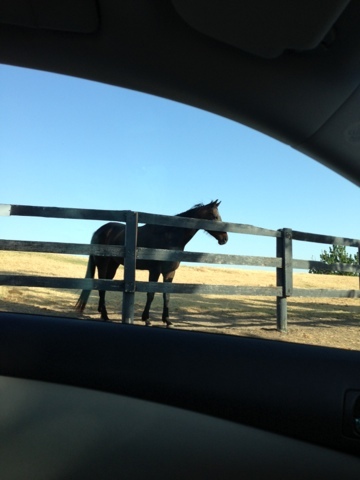 We decided to visit and see what was up. 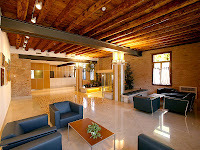 We stayed at the Eurostars Residenza Cannaregio. A very nice hotel with all the things that one could want although maybe a bit far from the main areas (makes for a quiet sleep) for those who don't like to walk. Being a bit outside the main attractions does allow for the walking through areas that you may not ordinarily see. This was a big bonus when looking for affordable dinner with great food (read; locals eat here). Arriving at night in the rain it was a bit hard to find, and hauling luggage up and down stairs to cross the multitude of small canals was not much fun. Some of the streets were so narrow that our umbrellas were touching both walls. Venice is not for anyone who has trouble with stairs as handicap access is almost non existent. Upon arrival we were welcomed and quickly set up in our comfortable and roomy rooms. Our rooms were on the second floor and so one last hauling of bags was in order as there is no elevator. Being 11pm at night dinner choices were a wee bit limited, but the Hotel staff had us squared away with directions and choices in short order. Panini's and beer it was and we were happy. 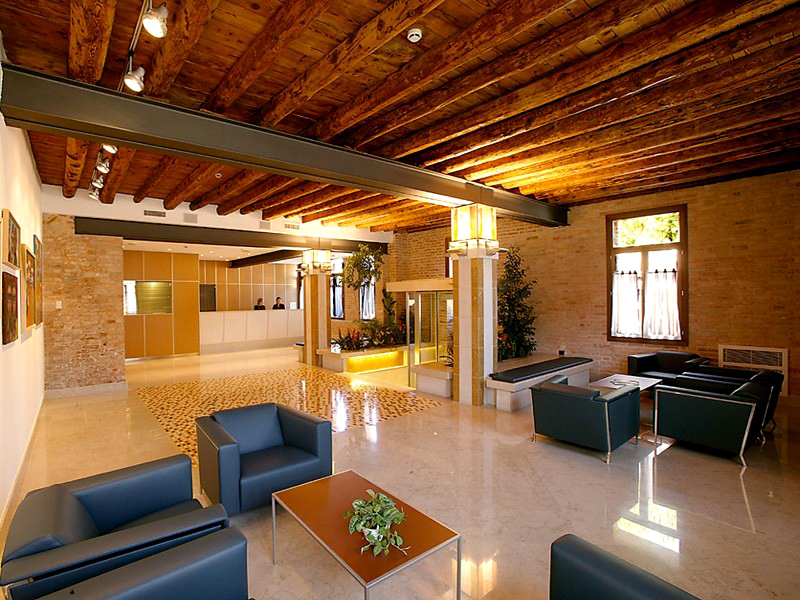 The Eurostars Residenza Cannaregio was a nice comfortable place to stay with very helpful staff and we would definitely "go back". While located a bit away from the main tourist spots it is within a 10 minute walk of most attractions and nothing is more than a twenty minute walk away. Located just on the edge of the Jewish Ghetto area made access to some good eateries fairly convenient. One such restaurant was Al Faro. A nice place with good food and very reasonably priced, even more so when compared to other Venetian restaurants. The father son team took great care of us and were very attentive and we give it a "recommend". The Calzone's and the wine and the pastas were excellent. Venice is quite small and walking anywhere is easy except for knowing how to get to where you want to go. A good map is important as nothing is in a straight line and crossing the little canals and walking in the maze of buildings can be very confusing but fun if you just relax. We were lost more than we knew where we were. It seems most of the negative stories revolve around the heat, smell, crowds and the blood sucking mosquitoes but we were there in late March and had none of those. Our new friends at Eurostars Residenza Cannaregio also arranged a trip to the Murano Glass factory for us which is on another Island about a ten minute boat ride away. If you have time it is quite interesting to see, just know going in they are hoping to sell you some of their glass art. Buy some and they arrange a nice comfortable boat ride back to Venice. Don't buy any and you will be riding the water taxi (expensive) or the water bus. The day we went they had a public transportation strike and luckily Kiwi fell for some art and we all rode back in comfort. Venice is one of those places that if you are near enough and you can, we think you should, go visit that is. Unique and full of history it also offers mystery and intrigue as well as romance albeit sometimes with a bit of a tired look, but it is after all, Venice. We'd "go back". 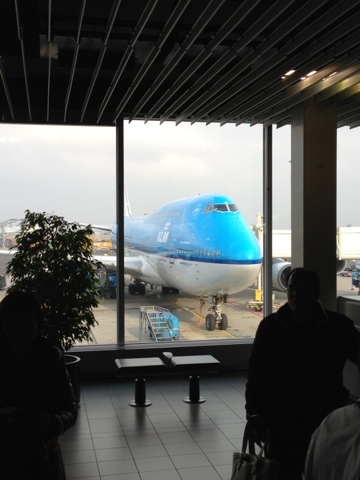 KLM part Deux, or secondi, as it were, being an Italy Adventure. 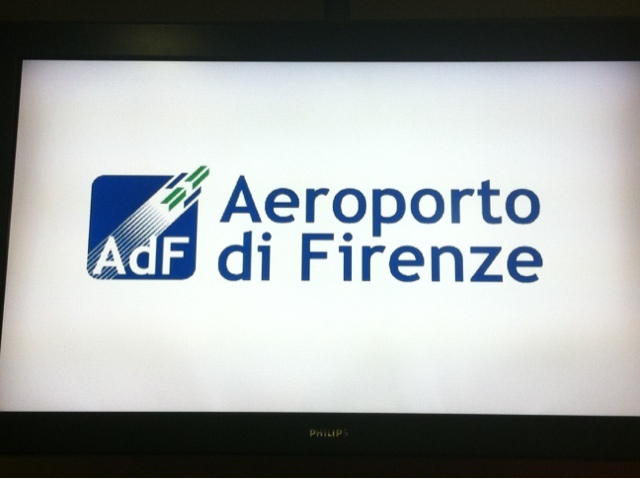 As if it wasn't bad enough ending two fabulous weeks in the land of the renaissance and great wine, we had a 4am wake up call for a 5:15 am taxi to Florence Airport. But wait, there's more! Europe selfishly chose this day to begin daylight savings, so subtract an hour of sleep from 4 am! So our body clocks were at 3am and 4:14am. Not ideal after our last night in Italy celebration drinking all the wine we could not stuff into our suitcases . 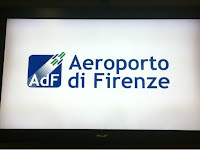 We boarded the Alitalia flight to Amsterdam on time, but due to a baggage error (not ours!) we sat on the Tarmac so long we missed our connecting flight to San Francisco. Imagine our frustration as we ran through Schiphol Airport to try to make our KLM flight only to be told at the gate that our bags would not be on board so we would not be either. We ranted amongst ourselves as were told were were booked on a later flight through JFK adding about 12 hours to our trip. There is a "However" to this story though (however). 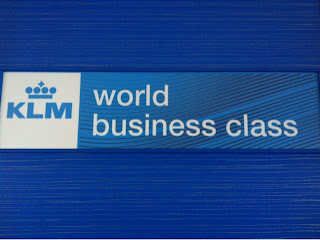 The KLM transfer desk agent was very understanding of our plight, and with a little pleading on our part and a lot of effort on her part she got The WineWalkabout group on a KLM flight to Vancouver with a connection to SFO on Air Canada, and upgraded us all to business class. Ok, that's not San Francisco direct, and our planned family Easter dinner was not going to happen, but waiting in the KLM executive lounge and flying feet up or stretched out with the seat massager on, well it did take the edge off. We were greeted on the plane with hot flannels and cool champagne, and immediately all the travel stress washed away. We apparently can be bought for good food and wine. Dinner (or was that lunch) was served with a nice selection of French, South African, and Spanish wines, with a delicious "sticky" Chardonnay from D'Arenberg in Australia. With cloth tablecloths and napkins, metal cutlery, and real salt and pepper shakers, the Winewalkabout travelers were out of their league, but definitely in their travel comfort zone. Second dinner (or maybe this was second lunch now...) was served an hour before arrival, more of the same! Great Champagne and wine selections and very very good food. 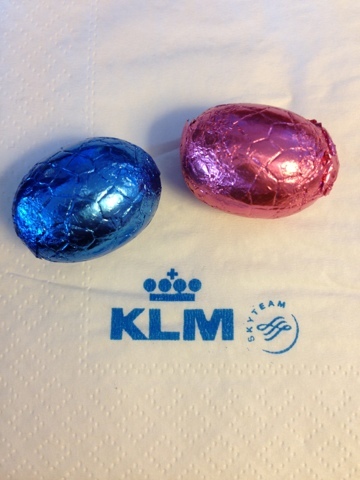 Great work KLM for understanding what good customer service really is. For turning around a bad situation that they had no control over, and that they were not at fault for. We at Winewalkabout would like to upgrade KLM to a hearty "Recommend". Check them out for your travel needs. We were once untrained drivers. Of course it was when we were young, so we have an excuse. Do you know a young driver? Automobile accidents are the leading killer of teens. These days we are safer drivers. We don’t speed much, we don’t tailgate much, we mostly use our turn signals and we always wear seat belts. But we are surrounded by idiots untrained drivers. When merging, get on the gas and merge into the flow of traffic like a zipper (or one, one, one, one for those who don't know how a zipper works). If someone has to slow down or move over to avoid hitting you, you have failed! For 99.9% of you on the road, don’t drive faster than posted speeds, 90mph in the rain on I-5 is stupid! You are not Sebastian Vettel! It doesn't matter if you are wearing a seat belt or not--you aren't likely to survive. One of our personal pet peeves is the complete and total ignoring of the highway sign that reads; SLOWER TRAFFIC KEEP RIGHT. It’s a simple concept, if a vehicle is gaining on you that ‘is’ an indication they are going faster, which by definition means you are going slower. MOVE OVER! Wow heading down a rabbit hole. So what can be done about bad driving? Probably not a whole lot, but one thing that would definitely help is for everyone to take an advanced driver course. Get your young driver into a class before they develop those bad habits and ingrained misconceptions about driving. We are not referring to a driver safety course, although those are good to, but an actual get up to speed, drifting, sliding, threshold breaking, pitching it sideways kind of experience. An experience for people to understand the dynamics of what happens under duress, for both the driver and the vehicle and how to deal with it. Have some safe time at the limit and beyond to develop some actual experience at over the edge to understand what is expected and how to deal with it. To get an appreciation of driving, and not as time to make mobile phone calls without blue tooth or put on makeup! Trust us when we say after one of these courses it will dramatically change your perception of your companions on the road (and their potential incompetence). As it so happens, we know exactly where this can be experienced, the Skip Barber Racing School! Don’t get stuck on the racing part, this is not about racing; it’s about limits, both yours and the cars. The classes are held at racetracks all over the USA and are not that expensive when you consider what you or your beloved teen or loved one will get from the experience. We took their experience at Mazda Laguna Seca Raceway. We took to the classroom, skidpan, thresh hold breaking areas, autocross track, lane changes and the racetrack, in a day of lessons and learning in a variety of different high performance cars, with the enthusiasm of two teenage boys on 5 cups of espresso. The instructors are patient, and communicate non intuitive concepts clearly and concisely. Helping students overcome some of the natural tendencies that nearly everyone drives with, and showing you how to drive better with more control, and how to avoid your less competent road users. The cars we drove were a Lotus, Porsche Boxer, Mazda 3, Mazda RX-8, BMW M3 and a Lexus I-SF. We learned how to toss these cars across two lanes and stop using maximum breaking. We also learned about being in a slide and taking control using a skill call ‘Jackie Chan hands”. There were many other activities during the day that gave us an appreciation for the capability of the cars and the significant difference between an untrained driver and a trained driver. We know what some of you are thinking, but if you have not been trained by a professional, you are not trained! There may be a tendency to want to jump into a multiple day class but a one day class for those not used to tossing cars around is enough to wear you out. We slept very well that night and were a little stiff the next day! A multiple day class is next on the agenda though. We learned a lot and would love to do another class in the near future. We had a ton of fun and a few embarrassing (untrained) moments but without reservation, highly ‘recommend’ the Skip Barber Racing School. Give this class as a gift to someone you love, even if that’s you! 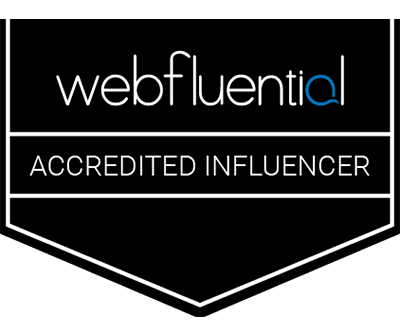 Take advantage of some INFO here. Tell em we sent you! 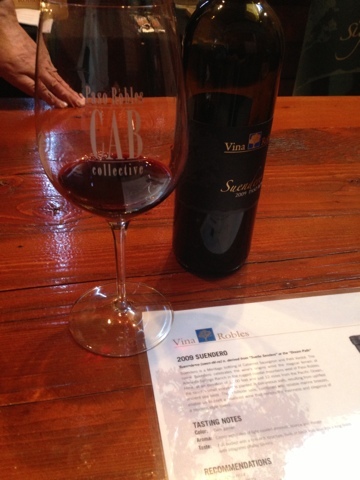 In Monterey County there is a wine maker who must know a thing or two about Zinfandel. Why? Well because it taste's so good! Well that and he has grown up in the industry. This winemaker is Justin Murphy of Irie Wines. Using selected Paso Robles (the best Zinfandel fruit) fruit he has put together a very nice wine. 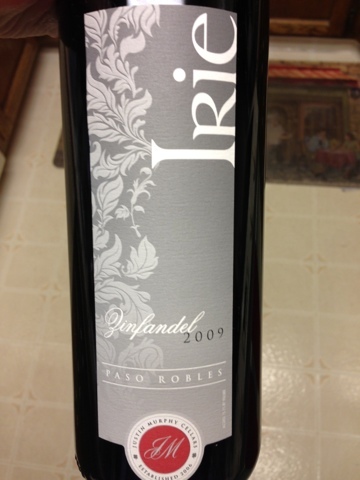 The 2009 Irie Zinfandel is a great WW. Easy drinking with nice medium to full mouth feel and the just right amount of dark berry and jam flavor with a nice balanced spice finish. 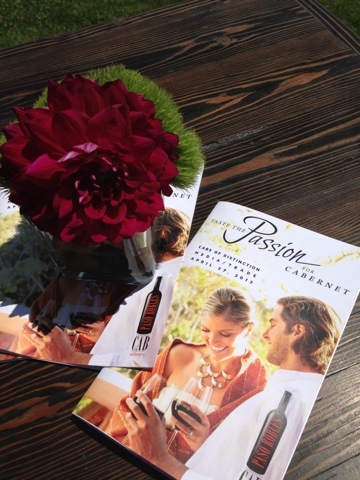 A Zinfandel that is balanced with all good things Zin without being overbearing at all. While slipping just outside the desired **** for a WW at a solid 6+ and *** it was more than good enough to be this week’s WW. 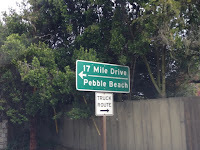 By the time you read this, the Pebble Beach Food and Wine will be over. This annual event is arguably the premier food and wine event full stop. Sure the food and wine are top shelf and the list of 'A' class celebrities of the industry is very long, but the world class setting it is held in adds a measure of magic that is hard to overlook. With event sponsor Lexus providing privileges to Lexus owners and transportation and shuttle services to others in and out of the spectacular Spanish Bay Resort, the event has an air of expectation before you even see a glass of wine or fancy food. Make no mistake, that wine and food are the focus even with all the celebs and Chefs and Sommeliers, it is mostly about the food and wine. At least during the day. At night the parties are more about hanging with the who's who of your passion whether it be food or wine or both. Having just hit the tarmac a couple days ago after an amazing Italy Adventure we were not really prepared for this years event. That being said with a little scrambling, tickets to a couple events were purchased. Selecting events to attend is usually quite a decision making process as there are a so many great possibilities and some conflict is inevitable, you cant do them all. This year because of the late nature it was fairly easy. What was left that one could get tickets to. Now while the events to choose from were limited they still required some thinking as there are no events not worthy of attending. After a stressful few minutes on the computer the two events chosen were, Areitta: Wines In Harmony and Malbec Rising: A Star is Reborn. 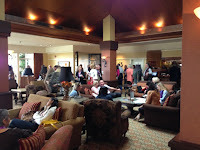 Friday morning at 10am at the Spanish Bay Resort a fortunate group listened to a man (Fritz Hatton) with an obvious passion to blend the emotions of music and wine. 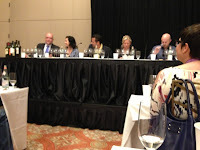 The Hattons founded Arietta in 1996 in partnership with winemaker John Kongsgaard and his wife Maggy. The partnership was born of a shared passion for fine wine and classical music. While known mostly for their red wines, the event shared some wonderful wines and included a couple of white wines as well. Their 2007 and 2011 On The White Keys. A beautiful blend of Sauvignon Blanc and Semillon were both immediately engaging with mouth watering finishes. Pure delight to drink. The reds were just as described "a New World spin on classic Right Bank blends". All were worthy and the 2000 H Block was outstanding. If you come across their wines in a restaurant, give them a try. Saturday morning again at 10am the Malbec Rising: A Star is Reborn is about to start. While waiting to enter and thinking of all the Malbec wine we have tasted, drank, liked and loved started to realize just how diverse this tasting may be. Sure enough the tastings were from Argentina, a couple of different regions, California and France. Malbec is not, as a lot of people think, an easy grape to grow and make wine out of. 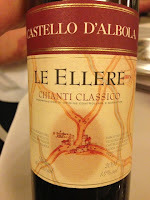 It is also not just for blending as the wines presented here were to show. 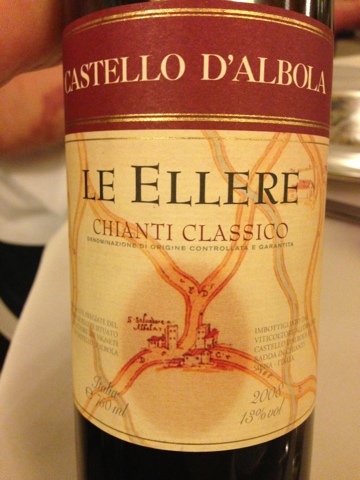 This is a wine of significant stature and is not to be taken lightly. Malbec was shipped to Argentina in 1852 after some serious frosts in France. The long and seemingly secret history is now seeing the light of day. It seems a bit strange to think of this wine as a new star given the history, but perhaps it is just a renewed focus and a big effort by some to champion this amazing grape and the wines that come from it that is bringing it to the forefront as a wine of significance. 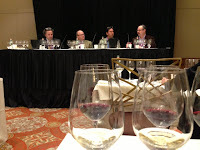 With a very entertaining and well educated panel the tasting was as much fun as it was educational and a great tasting of some amazing Malbec's. The one thing they all had in common was an amazing deep (really deep) purple color that has this iridescent purple rim. 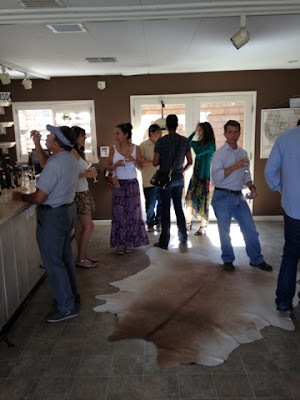 The first wine tasted was from Bodega Catena Zapata. The 'Nicasia Vineyard'; first thought, how is anyone going to follow this! Some how they did and we were led around the world of Malbec by the panel. One other notable mention, as much for how good is was is that there are now only 7 bottles left. That's right we were drinking all but the last 7 bottles of Blue Rock Vineyards Alexander Valley 2003. Thanks for sharing! Wines served were in order from; Bodega Catena Zapata, Recuerdo Wines, Cielo y Tierra, Chateau Lagrezette, Blue Rock Vineyard and Trefethen Family Vineyards. Enjoyed some wine and burgers on the patio while enjoying spectacular views after the tastings and soaked up the atmosphere, as that is it for this year. 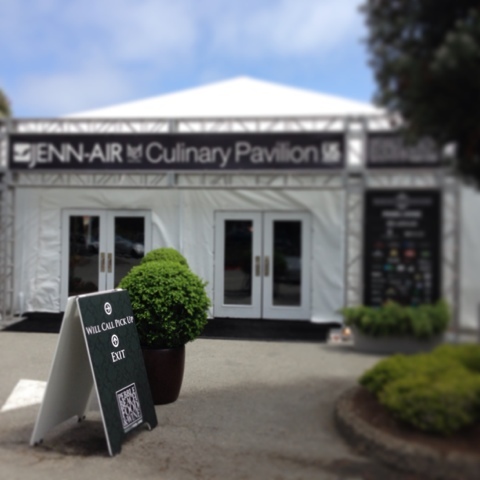 The 2013 Pebble Beach Food and Wine looks to be another successful event and although a bit at the pricey end it is still a 'Recommend'.